Senior managers with responsibility for strategic decision making in the food sector are facing a difficult environment to predict. The maturity of markets and globalization generate a hyper-increasing complexity of the situations to be addressed. Moreover, the economic crisis has triggered price sensitivity of consumers and customers, who now make their buying decisions more rational criteria. 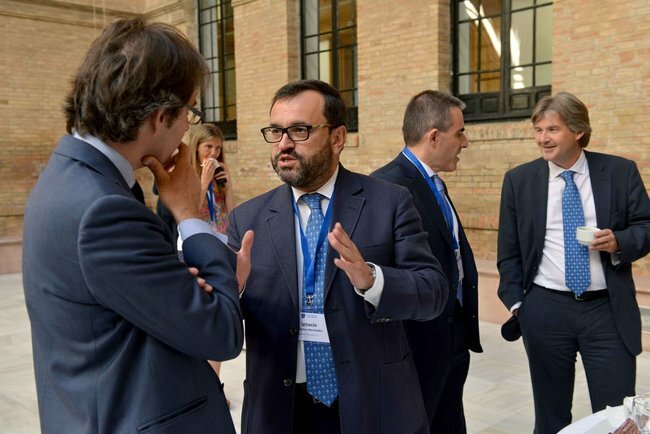 Although the food sector is less affected by the economic crisis, it is more difficult to defend prices and margins with business models that sustained success in the last decade, raising the need to revitalize and reinvent the value propositions, companies and their structures to remain competitive and profitable. But at the same time, new business opportunities are created worldwide, through strategic alliances and emerging markets. ADECA is a Program Improvement and an Advanced Forum of Reflection. It is designed to help senior management better understand this environment and improve their ability to adequately react on it. It has a strong strategic direction, focusing on the challenges, problems and opportunities facing the Food Chain globally (from agriculture to commercial distribution). As such, ADECA is a unique program in the European Union. The program is divided into four intensive modules. Each module has two full days. 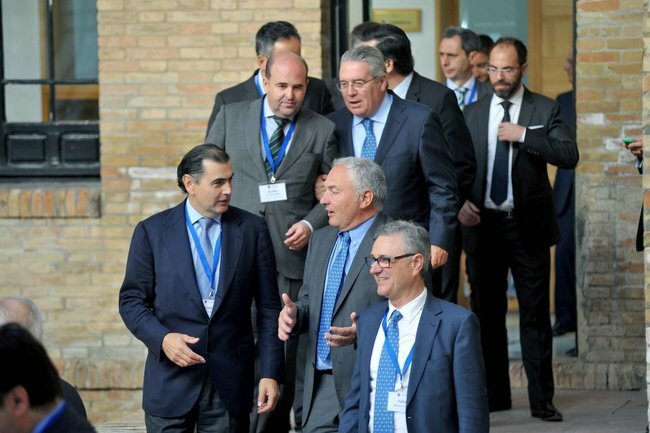 Since 2003, the program ADECA is held every year in Seville, Spain. 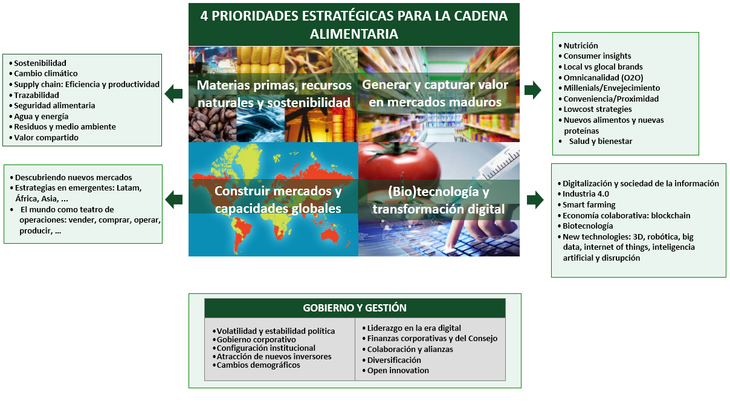 ADECA is a Program strategic reflection, Which aims to help senior managers to adapt their strategies and business models to take advantage of changes that affect the food chain as a whole. It has been designed under the belief that business leaders today do not need complicated theories or models to succeed. Instead, they require extensive knowledge of the industry, a strong understanding of the changes occurring in the environment and its consequences, inspiring ideas that stimulate creative thinking and great interpersonal skills and leadership. Understanding the specific challenges facing each of the links in the food chain (primary sector, food industry and beverage, distribution channels, catering and food service), analyzing and discussing the business model that the leading companies are developing and implementing to address such challenges. Discuss and understand the challenges and opportunities that affect a whole the Food Chain, or from changes in the environment: the evolution of the consumer, the challenge of creating value in a low-cost environment, globalization as an opportunity, the developments in global markets and opportunities in emerging, crises of raw materials and procurement as a strategic priority, genetic advances and the future of food, globalization and the need to define the world as theater, transforming digital business and social networks, the need to recognize the change and adapt, innovation and entrepreneurial attitude, financing strategies before the crisis, European and global economic situation, etc. The primary sector (agriculture, livestock and fisheries). wholesale and retail commercial distribution, including the Food Service. auxiliary sectors with interests in the food sector (logistics, biotechnology, consulting, agricultural and industrial supplies, financial institutions and venture capital ...). ADECA team carefully selects participants to ensure consistency and uniformity in their levels of experience and responsibility. ADECA also offers participants, besides learning a unique opportunity to interact and generate high-level contacts during social events and dinners organized during the program. 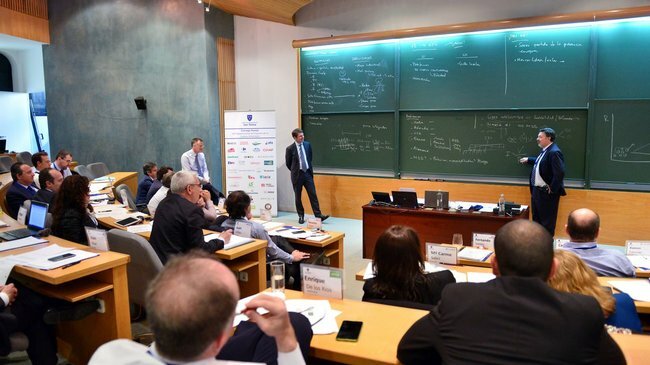 Since its first edition in 2003, more than 550 senior managers of major food companies in Spain, Portugal and Morocco have participated in the program. The Case Method is a means interactive and dynamic, In which the participant has to face real situations of companies. It is to discuss methodically facts, problems and business situations, in order to make better decisions. It is not as simple example to study a situation of a company. In each case, situations that have lived or are living in a company at a given time are described. Participants prepare each case individually. They should analyze the situation of the company and assume the role proposing their own solutions and lines of action. 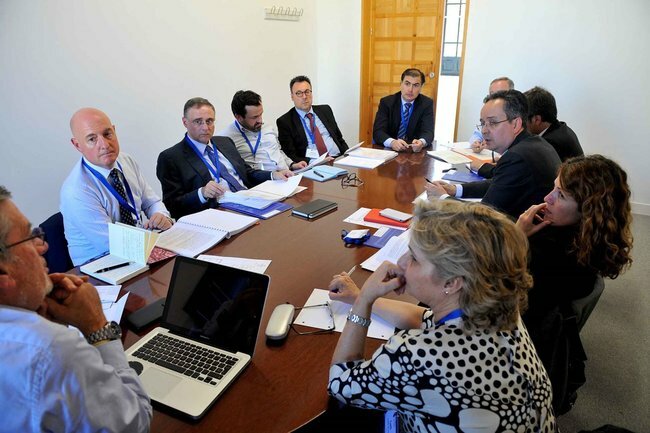 In the case method, in addition to the individual analysis of the actual situation posed, team work operated by way of Board of Directors are held. In these teamwork, conclusions and proposals for action are contrasted and personal views are exchanged with other team members, under the coordination of an Academic Assistant. Finally it takes place the General Session, led by a Teacher structure and directs the debateSo that the discussion of the problems, proposed solutions and the consequences of its implementation is carried orderly and methodological rigor. The case method generates a significant advance in the diagnostic skills and decision making when it used to discuss in a group of executives with a lot of professional experience under the guidance of an expert teacher. The method is complemented by in-depth discussions with top-level speakers and industry experts. 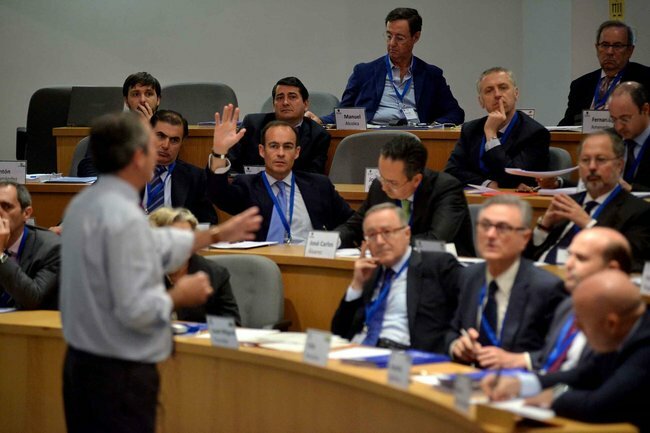 "LEADING COMPANIES FOOD CHAIN ​​IN A CHANGING WORLD". "WHO, WHAT, HOW, WHEN AND WHERE TO EAT IN THE FUTURE". This amount includes all course materials, lunch, coffee and dinner. At the end of the program the academic certificate will be awarded to participants who complete it successfully and use. Participants who complete the program successfully will become Alumni Instituto Internacional San Telmo and may belong to the Alumni Association, with access to various services, and especially their continuing education programs. The amount of the program must be paid in full not later than one week before the start of the program. Failure to do so, the registration will be canceled, leaving the reservation fee paid on deposit, which may be applied to the payment of any training activity of the San Telmo International Institute within a maximum period of two years. Payments will be made by transfer or check. Invoices are sent to the enrollee if otherwise not indicated. Tax advantages. may be considered deductible expenses in determining net income derived from business and professional subject to income tax activities and in determining taxable corporate income tax, provided it can prove that contribute to obtaining income from activities developed. To participate in the program ADECA is necessary to send the Admission request duly completed ADECA Department Admissions Program. The Admissions Department analyze compliance with required participation requirements (directive or business experience and managerial profile) and shall, where appropriate, admission to the party concerned. Once informed of the admission, the applicant must pay the reservation fee within fifteen calendar days.